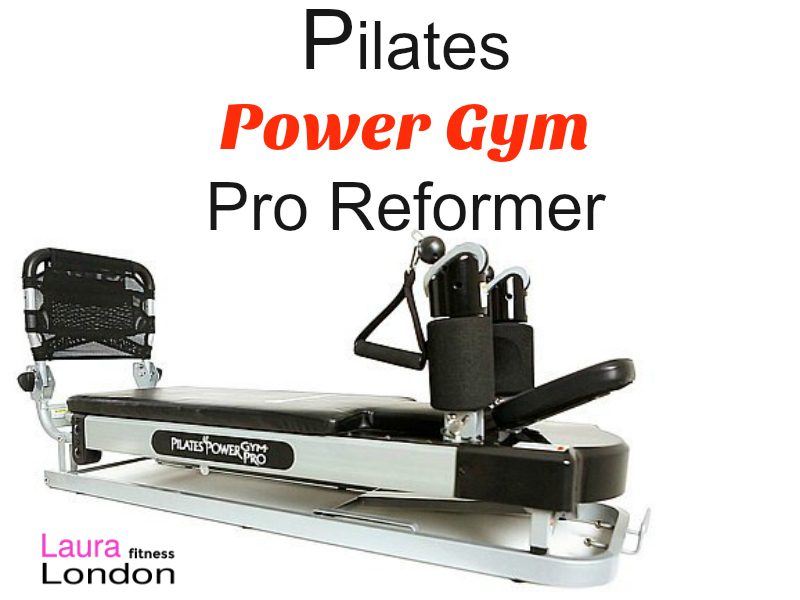 Today I am using the Pilates Power Gym Reformer at home. Recently I started taking Pilates at a studio near my home and fell in love with the reformer. I have always loved Pilates and the way it incorporates toning, core, and body alignment. At home, I searched the internet for a home version of the reformer and hands down fell in love with the Pilates Power Gym reformer machine. Why? Great question with a lot of answers. You ladies know I started my whole transformation experience in the gym and then learned more about the body, anatomy, and physiology. Incorporating different forms of exercise is the KEY to a hot and healthy body and pilates & yoga are at the top of my list. Focused mind-body workouts incorporate proper breathing and intentionality as well as spinal and pelvic alignment and smooth motion. By controlling each movement, you exercise efficiently, reduce stress on your body and enhance your overall health and well-being, for the long-run. What could be better? 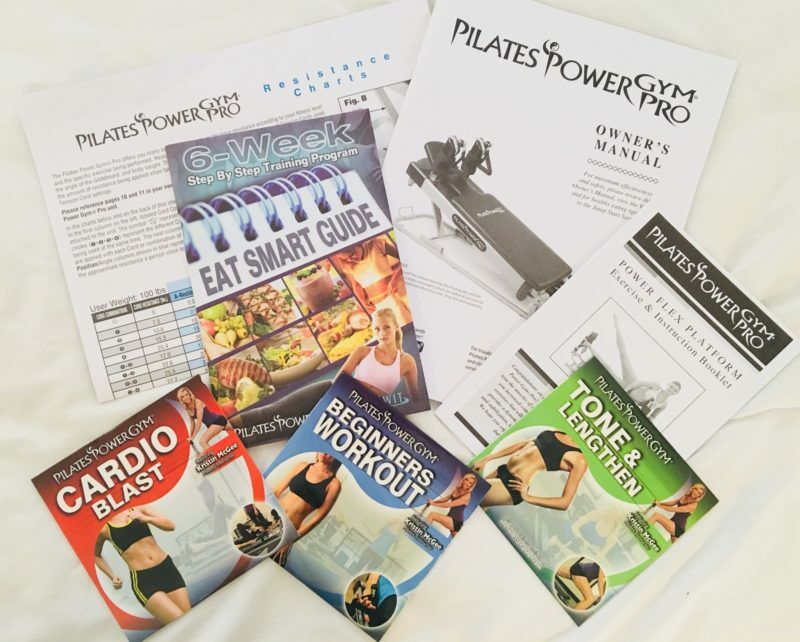 I could not wait for the Pilates Power Gym to arrive feeling like a kid at the candy store. Checking every day to see when it was going to be delivered. It was less than a week. When it arrived, it was in a packaged extremely well in a large box the size of a small canoe. My neighbors 3 boys are enjoying the shipping box as a toy boat right now. My husband and I rolled the machine out of the box and it was 95% ready to use. I read the instructions, and attached the handles and was ready to fire this baby up and exercise. The Pilates Power Gym has a carbon-steel frame, that can hold up to 300 pounds, and is about 56 inches long. It’s equipped with four tension cords with up to 16 different settings, foot strap attachments, and a push-up bar. The glide board can be adjusted to 11 positions and three lengths. The intensity of the workout can also be adjusted. There is virtually no assembly required. It has wheels and a weight of 60 pounds, and it is easy for moving around the house. I even took it outside by my pool to workout. Combines the best of Pilates and Strength training in one machine. Great for Women and for Men. Change from one exercise to another in seconds. Use in physical therapy and by athletes. By combining smooth, controlled resistance with the body’s natural movements, the Pilates reformer ensures an efficient, effective workout; one that gives you longer, leaner muscles and joint health as you increase flexibility. You are toning and strengthening every part of your body — abs, back, shoulders, arms, thighs, hips, and calves — with fluid, continuous movement. 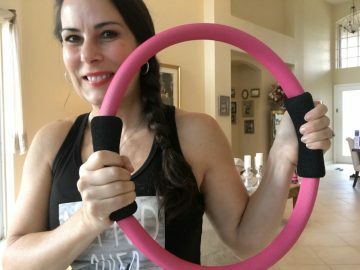 So you get endless core benefits as well as top to bottom toning. The combinations are endless as to how to create fun and efficient workouts. Stay tuned to my YouTube Channel for more great Power Pilates Gym Reformer workouts. Make sure to SUBSCRIBE while you are there too. Do you love Pilates? Have you ever used a reformer? Leave me a comment and let me know. I love hearing from you.